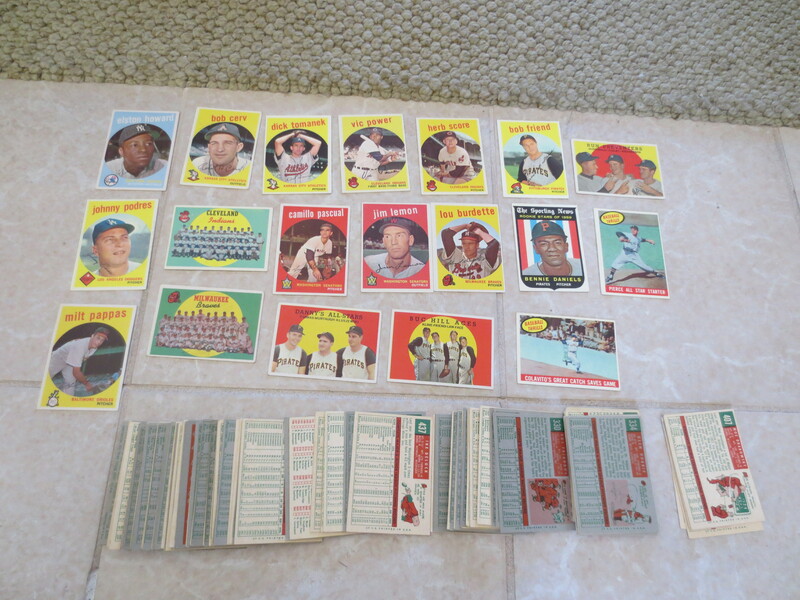 Lot Detail - (350) 1959 Topps baseball cards in great condition! (350) 1959 Topps baseball cards in great condition! What we have here are approximately three hundred fifty 1959 Topps baseball cards in great condition. There are no high numbers and no Hall of Famers, but there is everything else---rookies, baseball thrills, teams, leader cards, etc. It is tough to grade a large group of cards but overall I would grade these near mint. There is some duplication.